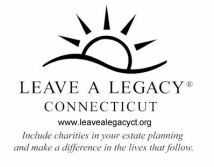 Over the years, hundreds of generous friends have helped at-risk, special needs and troubled boys and girls by including the Connecticut Junior Republic in their estate plans. The vision and generosity of this very special group of friends makes a critical difference to CJR’s ability to build its Sustaining Fund, thus ensuring available resources to provide the special care, treatment, and educational opportunities that young people need to become productive and contributing members of society. See your legal or financial advisor about your will or estate plan. Prepare your will. If you don’t let people know what you want done with your belongings, others will decide for you. Leave a gift in your will for the nonprofit you feel strongly about. Consider your assets carefully. Gifts to charity of stocks, bonds, real estate, certificates of deposit, savings bonds and other items of value, may provide tax savings. Remember loved ones by making memorial or honorary bequests to charities. Use a life insurance policy for a gift and name your favorite charity as the beneficiary. Use retirement funds to leave a legacy to charity. When given to heirs, these are often the most highly taxed assets in an estate. Ask your professional advisor about how gifts to charity (including charitable gift annuities) can reduce taxes to your estate. Celebrate your legacy and consider informing the charity of your gift so your vision and generosity can be recognized. Encourage your family and friends to leave gifts to charities, such as the Junior Republic, in their wills. "I have heard former students speak of the great difference CJR made in turning their lives around. I feel wonderful knowing that my legacy will make a difference to children who need some extra help to become productive citizens." Language that may be used to include the Connecticut Junior Republic in your will or estate plan can be found here. Information regarding the Connecticut Junior Republic’s CJR Fund Charitable gift annuities may be found here.